My research has been devoted to the study of planktic foraminifera as indicators of environmental and climatic conditions in the Late Cretaceous. 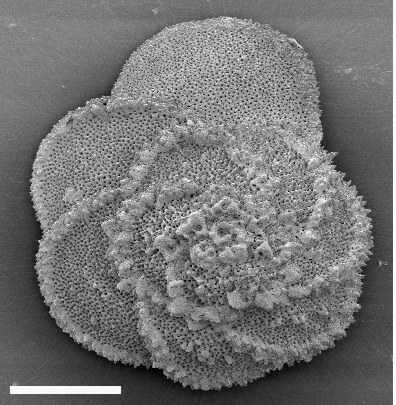 Among marine organisms, this microfossil group has proved to be an extremely sensitive indicator of paleoenvironmental conditions, and thus of ecological perturbations. My long-term goal is to establish high-resolution records of faunal turnover of the Late Cretaceous in different types of environments and oceanic realms. Achieving a detailed knowledge of planktic foraminiferal populations can provide better understanding of the global Maastrichtian ecosystems and of the nature of the event at the K-T boundary, or any other major environmental crises in Cretaceous history. 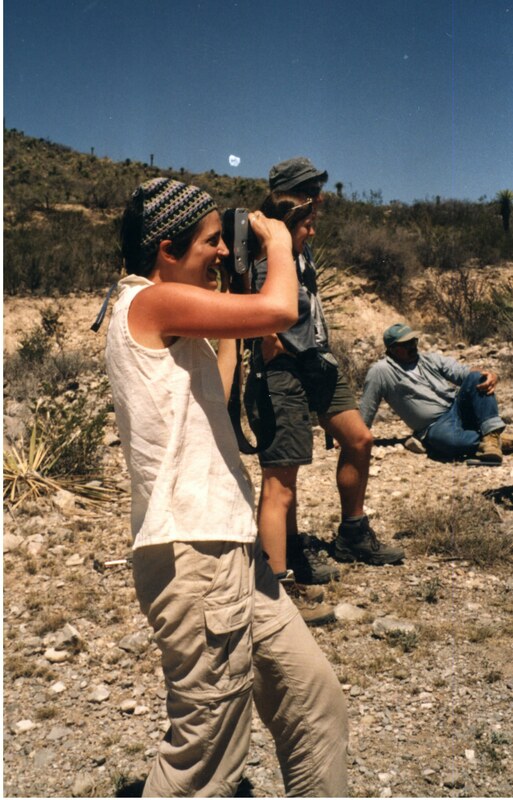 My research also focuses on understanding the distribution of Cretaceous planktic foraminiferal habitats, and characterizing the ecological strategies of individual species and special biological activities such as photosymbiosis. Abramovich, S., Almogi-Labin, A. and Benjamini, Ch., 1998. Decline of the Maastrichtian pelagic ecosystem based on planktic foraminifera assemblage changes: Implication for the terminal Cretaceous faunal crisis. Geology, 26: 63-66. Abramovich, S. and Keller, G., 2002. High stress upper Maastrichtian Paleoenvironment: Inference from Planktic foraminifera in Tunisia. Palaeogeography, Palaeoclimatology, Palaeoecology 178(3-4), 145-164. Abramovich, S., Keller, G., Adatte, T., Stinnesbeack, W., Hottinger, L., Stuben, D., Berner, Z., Ramanivosoa, B. and Randriamanantenasoa, A., 2002. Age paleoenvironment of the Maastrichtian-Paleocene of the Mahajanga Basin, Madagascar: a multidisciplinary approach. Marine Micropaleontology 47(1-2), 17-70. Abramovich, S., Keller, G., Stuben, D. and Berner, Z., 2003. Characterization of late Campanian and Maastrichtian planktic foraminiferal depth habitats and vital activities based on stable isotopes. Palaeogeography, Palaeoclimatology, Palaeoecology 202, 1-29. Abramovich, S. and Keller, G.,2003 Planktic foraminiferal response to the latest Maastrichtian abrupt warm event: A case study from midlatitude Atlantic Site 525A. Marine Micropaleontology 48(3-4), 225-249. Stuben, D., Kramar, U., Berner Z., Leosson M. A., Meudt, M., Keller, G., Abramovich, S., Adatte, T., Hambach, U. and Stinnesbeck. W., 2003. Late Maastrichtian Paleoclimatic and Paleoceanographic changes inferred from Ca/Sr and stable isotopes. Palaeogeography, Palaeoclimatology, Palaeoecology 199, 107-127. Adatte, T., Keller, G., Stuben, D., Harting, M., Kramar, U., Stinnesbeck, W., Abramovich, S., and Benjamini, Ch. (in press) Late Maastrichtian and K/T paleoenvironment of the eastern Tethys (Israel): mineralogy, trace element and platinum group elements, biostratigraphy, and faunal turnovers. Abramovich, S., Benjamini, Ch., and Almogi-Labin, A. and Adatte, T (in Prep). Paleoenvironments of the Negev (Israel) in the Maastrichtian: Faunal, mineralogical and geochemical evidence for change in the ocean.